If you’re interested in getting into the game at a low cost, this Tahoe will be well worth your attention. We’d all love to have the boat with the biggest engine, the hottest graphics, the loudest stereo, and the tallest tow tower, until we remember that all this stuff costs lots and lots of money - but luckily, you can still get a pretty darn cool boat, like the Taho Q7i, at a reasonable cost. Price-conscious bowrider shoppers will want to see the Q7i in particular because you can put this boat in your driveway for under $27,000. The Tahoe Q7i, shown here with an optional wakeboard tower, is a great way to get into a combination bowrider-towboat for a reasonable price. Even with its low price tag, the Q7i has some surprisingly upscale features: an AM/FM stereo/CD player with MP3 jack and four speakers; adjustable helm and passenger’s bucket seats; three different integrated coolers (one under the aft bench seat, one in the swim platform, and one in the passenger’s side console); and a Lowrance digital depth finder. 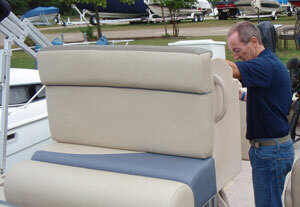 Cushions are wrapped in marine-grade vinyl with a stain-resistant coating, and the cockpit coaming is padded throughout. 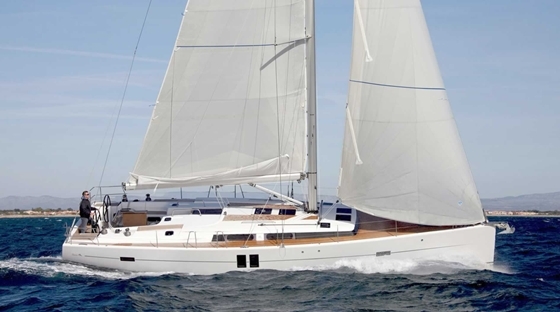 But the biggest surprise feature is the custom-matched tandem-axle trailer, included in the boat’s list cost. It’s powder-coated, has a swing-away tongue, submersible lights, and a folding jack. 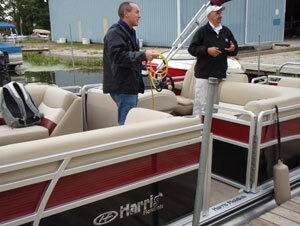 The Tahoe is built solidly with a fiberglass stringer system and a hand-laid hull, but unfortunately the deck liner consists of multiple pieces. During my sea trial I noticed some squeaking and creaking coming from the parts as they rubbed against each other, and the seams between the deck and the passenger’s and helm console liners are bound to collect dirt. There’s also some room for improvement at the helm; the curvaceous surfaces, chromed gauge bezels, and lighted toggle switches look good, but there’s no room for you to add electronics. Of course, you expect some imperfections when you have a price tag that's this attractive. The Q7i’s layout is traditional classic bowrider, with a cushioned V in the bow (and stowage underneath), helm and passenger’s consoles, a walk-through windshield, and a large ski/wakeboard locker in the deck. The kids want to get some air? 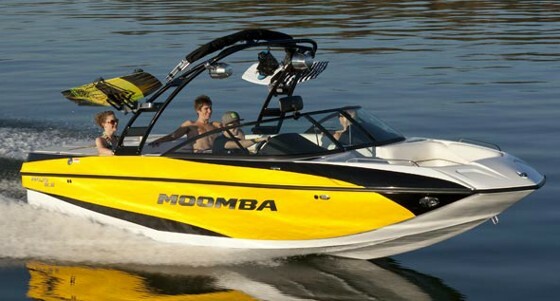 Then you’ll have to spring for another $2,625 and get the optional folding wakeboard tower. 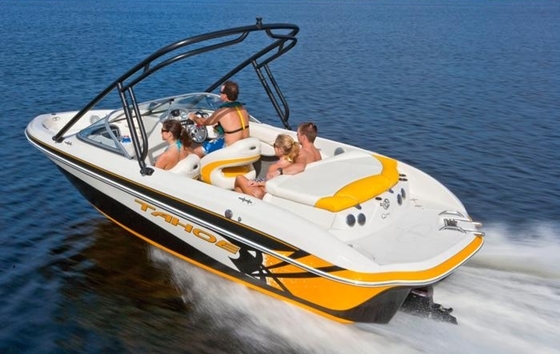 Your other towing option is to use the standard stainless-steel ski tow-eye on the transom. Sport lovers may also want to upgrade the standard 190-hp Merc to the 260-hp 5.0 MPI. Yes, this is a big-ticket item and adds around $5,000 to the cost of the boat, but it takes performance from functional to just plain fun—with the 5.0 in our test boat, we broke 52 mph and cruised at around 40 mph. Cranking the wheel hard-over put the boat into turns tight enough to make a slalom-skier salivate, and going from a dead stop to planing speed took all of four seconds. Okay, so the Q7i isn’t the biggest-bestest-hottest bowrider on the face of the planet. But considering the fact that it costs less than most new cars, this boat’s sure to get a lot of attention. And if your economic outlook is stable enough to include a driveway, chances are you can afford to put a Tahoe Q7i on it. 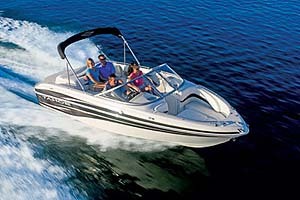 Comparison shoppers will want to see the Bayliner 215 BR, and the Stingray 208 LR. 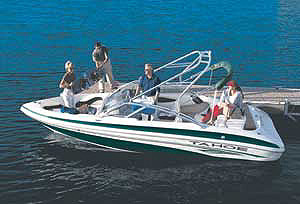 For more information, visit Tahoe Boats.